In the space of just two days, I experienced the best that Edgewater and Andersonville have to offer. Even after 12 years as a realtor, I am inspired by the beauty of our lakefront and how easily we can enjoy it. 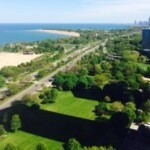 Took a client to see her condo prior to closing and the view from her unit at the 5455 N. Sheridan building was spectacular. 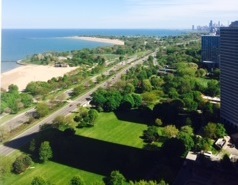 Green space all the way to Navy Pier and views of the beautiful beachfront at Foster are truly amazing. My family and I went to Foster beach this weekend. 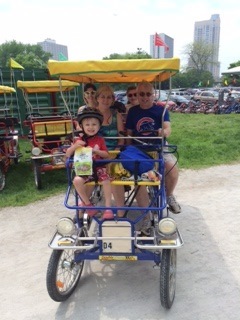 We rented a surrey large enough for all six of us, including grandparents, parents and kids, for an unbelievably wonderful family event. 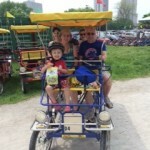 As we pedaled along the lake and through the park from Foster to Montrose harbor, the laughter and conversation we shared as we rode past the beaches and family barbeques representing all nations, was truly amazing. No texting, cell phone conversations or looking at videos at all. Living in Edgewater is the best.